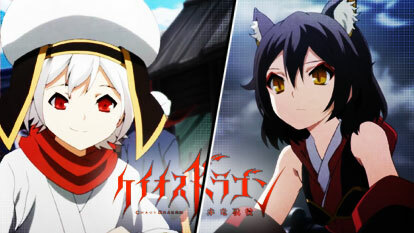 Chaos Dragon is based on the role-playing fiction project Red Dragon, a story which was created by five notable character designers: Gen Urobochi (Fate/Zero), Kinoko Nasu (Kara no Kyoukai), Iduki Kougyoku (Mimizuku to Yoru no Ou), Ryohgo Narita (Durarara!! ), and Simadoriru (member of the Stripe Pattern doujin circle). The results of their tabletop role-playing game sessions over six days created material for a seven-volume light novel series.